Independent Slip Testing Services (ISTS) helps property owners, managers, and other stakeholders to Reduce Your Risk! We can do this by providing market leading and cost effective wet and dry slip resistance measurement audits for all property sectors. Testing programs identify areas that may be performing below the relevant recommendations and also document areas that meet or exceed the recommendations. Although we are an independent service and do not provide slip resistance treatments ourselves, we can however assist in outlining styles of treatments successfully implemented by our clients. Additionally, our Global Product Classification service specialises in determining the suitability of pedestrian surface products prior to installation and during construction. We provide regular scheduled services to capital and regional locations throughout New Zealand offering highly competitive rates. ISTS is a NATA (ILAC) accredited testing facility to the relevant New Zealand Standards. Find out more about our Australia and Singapore services. 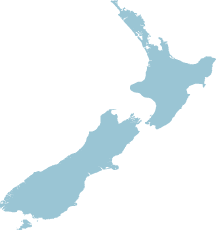 Our testing technicians frequently service all capitals and most regional areas throughout New Zealand. We also provide scheduled services to Australia and Singapore. By regularly visiting these locations we can offer our services at highly competitive rates. Independent Slip Testing Services is a NATA accredited testing facility complying with testing and reporting procedures outlined in the relevant New Zealand standards. Visit Standards New Zealand for up-to-date NZ standards for slip resistance measurement and classification of pedestrian surfaces.